Are 19 pieces of British bands or artists, compiled by djs inglerse mod scene like the "Smiler", usually devoted to soul and all 'r'n'b, but also other sounds incredibly collectors and in this case I have to say this volume and 'significantly higher than the first. All songs by obscure British R'n'B and blue eyed soul of bands that have carved up a couple of singles, obscure gems Mod transported on 'label Eddie Piller, directly from the original masters or from acetate, found in the most 'remote studies of British record stores now, for the most part, disappeared! Undoubtedly, this series is proving very interesting, offering pieces never heard before and not look out of place at a mod allnighter today! to have no doubt! This album recorded between August '69 and January '70, in studies par excellence sound engineer Rudy Van Gelder in NY for the great BlueNote, is another excellent example of how to skillfully blend the modern jazz with R & B and funk. 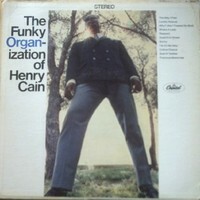 After the first song sung leading precisely the name of the homonym album, you go to other 5 tracks (3 on each side of course) excellent modjazz all instrumental, well balanced and wisely determined that interference funk in many passages. 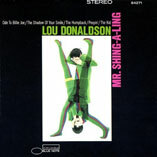 With bell'hammond not transships ever since his role but, as usual, sax duet with Lou in all the pieces! Good work recommended for all! Another unknown band popsike of the 60's, where on this CD are compiled 17 songs, 6 of which are taken from their 3 bedroom plus' 11 unknown and never recorded. Known are their version in a more 'psychedelic' Tomorrow Never Knows "by The Beatles and" I See the Rain "by Hollies, but are beautiful as well:" The Wedding of Ramona Blair, "and" Hold On "! A band that has played a key role in the London psychedelic scene, but almost nobody knows and who has attended many evenings during the '67-'68, playing at the Middle Earth and UFO Club, participating in numerous happenings and psychedelic events of pop art, which took place in the capital! This useful for those who love the side 'pop psychedelia of the British! Another book on, Mods, but this time comes from one of the most 'old' and authoritative Mod outstanding: Tony Face! Like writing, and 'a cross between the Book of Gazzara and that of Rawlings, yet another story of how words are born and how he and mods' movement developed over the past 50 years. A publication does not hurt if only because 'he related the book to countless photo: taken in part from that of R. Barnes: Mods!, Other than that of T. Rawlings: A very British phenomenon, and some of its private collectors. Great for the beginner who wants to start to learn about the culture that belongs to us, and discreet for those who no longer 'young man like myself, wants to have in Italian, a manuscript that can' be a summary of what and 'the modern phenomenon since the dawn until today! You can 'honestly say that is not' nothing astounding, but certainly the most Tipps' young! When they started this career, and more 'precisely in the years of 1962' / '64, this quartet of Michigan, was but one of the many garage bands that lined the East Coast of the United States, but with the advent in 1965 of so-called: British Invasion, were influenced by 3 bands that delineate the music style and look: the Yardbirds, the Kinks and Small Faces over all great! From that day on the 4 American kids cut their hair, buy stylish 3 button suits and began a career as a band devoted to the British R'n'B Blue-Eyed Soul! The N. 92 in the top 100 of Billboard magazine, is not 'a case, a melancholy satisfaction, in fact, appeared alongside songs made from sacred cows of black music, their version of "Respect"! Their repertoire included songs such as "Leavin 'Here, knock on wood" and a cover of the piece of r'n'b which is danced to allnighters Mod: "Had you told it like it was it would not be like it is ", they ALSO 'pieces' beat like" I Need You "and" glory "! A band out of the ordinary in this work of 2 CDs, gives us a total of 34 songs taken from their own individual and studio recordings ever recorded on vinyl. Recommended for everyone! This freelance journalist who used to do music reviews for magazines such as Buscadero and Rockerilla, wrote last year on this beautiful work of literature that characterizes English psychedelic music 'and those' the years '67-'68. 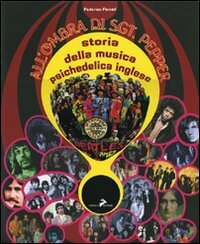 This book describes the cultural and artistic atmosphere of London at the time and analyzes the activities' of training "minority" that helped revolutionize the music of the English end of the 60's, ricostrunedo historically and record the deeds of some 150 bands that moved the shadow of the Beatles and Pink Floyd, but which were fundamental in the London psychedelic revolution. An analysis on change in sound English, but also on changes of costume youthful fashion, graphics, movements and art galleries, clubs, information for self-financed music magazines, pirate radio, the events that mark the "summer of love", the characters, the light show, the artists of the new psychedelic visual art and the definition of the themes of "British psychedelia "!!.. short, a masterly and comprehensive, a must-have for all the fans of the genre, and the cost 'of 38 euros! 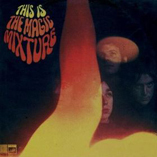 This band based in London has had among its members the likes of Jim Capaldi (Traffic) and Steve Winvood (Spencer Davis Group), and 'practically lived as an experimental project one year, from '66 to '67 and has created a handful of singles and some live recording with the BBC, all gathered in this record that gives us' a total of 12 songs, ranging from the british r'n'b Freakbeat! You can not 'say it is a gem label, because' the artists who made them, they have created a sound more 'Uniquely, do not assume this work as yet another project of psychedelic pop, because' no and 'only this and rimmarrete impressed! Excluding the fact that the period in question is between: the end of Swingin 'London and the start of "Summer of Love" UK, almost all members of the band were part of the London Mod scene and had musical influences for the most partly based on the artists of African Americans modjazz, rather than on the soul, and in fact it has in the side "B" a spectacular version of "Camin 'home baby"! A disk engraved to perfection but would recommend to everyone! After the compilation of individuals (also published on CD) published by RPM as MajorityOne, or the psychedelic band posthumously to this, finally comes out of this collection of individual R'N'B / beat band that has churned out the beauty of 8 individual before breaking up! They are all pieces of beats, from the reverb a bit 'surf (the Beach Boys so to speak), with regard to the first single and Freakbeat regarding the last (one is also on the compilation CD release: British Freakbeat from Decca)! ! You can not 'certainly say that they were a band of high profile, but, from what I heard from this work, made honest british beat without infamy and without praise. In short, a band that only advised fans beat and wheel 'around the scene of the Swingin' London, with a look popMod! Perhaps one of the first to have this CD in my hands in Italy, sent directly from the group because I followed them in their musical developments for some time. I must say that as always in Sweden always turn out excellent work, but they always remain hidden from the masses, but better so its always a new discovery for those who find them. The CD audio presents 4 track and a video of excellent technical quality and sound, the band emerging MonoStereo, I must say exceeded my expectations accustomed to the new indie-rock bands emerging today. They are completely different sound already decided in my opinion mature and attractive, good sound mix not only on the current indie-rock influences, but fishing from the past pop-psych sound. The traces are developed on the very sound and speech is less common in listening by providing a more instrumental sound, not that they have nothing to say in the texts but I guess they wanted it to stimulate the listener in a much more introspective and reflective listening. The video also of excellent quality and assembly is a piece on the CD and you can also view it online below in this site, is just a taste of the work! Elegant and not just in the sound I hope to see them sooner or later in a live at a party or, perhaps in Lavarone, Italy. For info and purchase recommend us: http://monostereo.360degreemusic.com/shop/categories.php Cost £ 2.00 means you can run and buy it! Happy Listening! 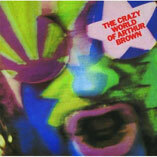 Are 2 cds for a total of 34 songs that include the entire discography of this band full of acid rock! Ptraticamente an album, a handful of individual pre-and post album more 'of the live recordings of the band! John Du Cann, leader of the mod band The attak, devoted to the British Freakbeat beat before and after he had completed towards the end of '68 the dissolution of that band, forming one of those to be among the most 'classic examples of popart - British rock band, the Andromeda. Lasted the space of 2 years, their concerts were famous support to Led Zeppelin and Cream, you think they did a concert in the East End of London to promote a young band called Black Sabbath! Having always loved the r'n'blues, soul and jazz, because of its formation MOD, gave an impression very black rock to the sound of the band, without losing the natural reverb that the psychedelic era in which they lived ordered him! ! Ultimately a good compilation for one of the most 'band-to-find rare vinyl now and with a less homogeneous sound of the period! "The Inner Circle" at a cost of 2 Euro and "The Other Face" of Teramo costs 3 euros respectively require theinnercircle@libero.it originalmodsteramo@yahoo.it Buy and thanks! The photographer of youth subcultures, he has more 'than 1,500 photos on Mods and Rockers of the past 15 years and this book of photographs printed using the photo that most concern the modern scene revolving around the organization Mod New Untouchables in London! ! There is a brief introduction of 3 pages edited 4 hands: by biographer Paolo Hewitt and DJ nonjche promoter of NUTS: Rob Bailey, where they post pictures depicting children who also have little to do with the Mods, but inserted other scenes that intersect with ours, like the 60's or the indiepop! The photos are beautiful and the book 'with a cardboard cover drive, the cost' of 20 euros if you request it directly to the New Untouchables and you should hurry because there are only 400 copies were printed and are finishing them all. Should be planning another 800 due to the high demand from Japan and the United States, but we're not sure. Find out about the history of the most important label in the world thru the sleeves of ALL the picture sleeves and labels of their spanish 7"'s. 160 full color glossy real 7" size pages devoted to Tamla Motown production in Spain from its licensees in the early 60s to proper Tamla 7"s. Up to 1973, the complete collection of all singles and Ep's (all 5000 and 7000 series). All picture sleeves issues & demos, special & curious back sleeves, rarities, withdrawn, nos 1, signed sleeves, memorabilia, only spanish promo cards, the only promo booklet... and a brief history of the label. Price: 20 euros + P&P Limited edition of 1000 numbered copies. Go ask +info or directly buy it from 50motown@gmail.com before they are all gone. Are the current masters of psychedelic pop with a touch of beat, the 'star' in Spain and Italy taking part in several festivals such as the "Purple Weekend" by Leon or the Euro Ye Ye in Gijon, or the Beatfever of Verona, but never printed a vinyl in their native village! Recorded by Liam Watson to ToeRag Studios in London, back when the "pop star" (as the WhiteStripes) there were, this is' a collection of their best songs in 16 engravings Mushroom Pillow Rec (home to Madrid) for a label London! Bronco Bullfrog I am not a band on a mission to save the world from 'Poor' "the current system of pop, rock, or to become vain, even if they have reason to sell! Andy, Mike and Louis make music, just because 'they are conscious and capable, given their background 60's / pop-mod in the "contemporary scene," say the bitter awakening (the famous "9 to 17" English) and life of normal people living a life of time and scanned between work and weekends with friends. There are minstrels who outlined all the flaws of reality 'human and give us their views through their personal experiences !!!.. good band to have for those who love the sounds neo popmod! This raccoltona enclosing a total of 44 songs divided between the 2 CDs you have the 3 albums composed by the band and dated: '68 / '69 / '70, including all individuals who have separately published by them! A masterful work by a major who does not forget his "poor children", has done justice to one of the band baroque psychedelia of the most 'elegant in the period of the "Summer of Love" UK! The 4 guys in the Midlands have composed the songs that were different from those of other bands, not just sounds, a lot of work but also for those chosen, were in fact sung stories about people with mental health or human idiosyncrasy and all the dark sides of the mind! This Birmingham band enjoyed a brief period of success with a choice array of fans that followed them everywhere and not abandoning them to their end begun at the turn of the early 70's. Everyone can still remember their piece of the battle: "Here We Go Round The Lemon Tree" covered "by several bands of the time! A large group a nice job record. Recommended for everyone, especially to those who love the sounds especially the white popsyke English! Singers were not many chances in the 60's, but the few who succeeded were an instant success and quick. Bill Davis has enjoyed, attrraverso his first hit single. "Tell him," the pantheon of these selective soulpop singers (Dusty Springfield, Cilla Black, Lulu, Petula Clark and Marianne Faithfull), until his car accident which broke his jaw and had a firm for 5 years! With great strength of mind to be presented again to the music world and his original record label (Decca) in '68 with the hit single "I Want You To Be My Baby" and included a brief but brilliant career until to 1970, where he moved 'in Latin America and work' up to the 90! We must say that, yet people continue to remember it for that famous hit of '63, but we want to emphasize that she and 'was a great performer, much more' underground if you will, of his "colleagues". Just think of the soul covers in key of: "Living in the Past" by Jethro Tull or "darlin be home soon" the Lovin 'Spoonful, from here you can' guess the genius 'in interpreting songs like' hard to do! Billie and 'was not only a good singer, but also a beautiful woman with an appearance very cool and very close to the ferment of Swingin' London! Finally, this compilation contains most of his career as a singer and I'm sure the purchase pop soul of this disc will not disappoint you '! October 3, 2009 - Buzz With The Fuzz (Milan) - Italy; live: MOCASSINI (Beat Italian-Vicenza) Guest DJ: MARK "Monkey" RAISON (Nuts-London UK) FREAKCARLOS (45 MOD CLUB Genova) BRIAN (Varese Northernmods ) HENRY (MilanoMods) @ La Casa 139 Via Ripamonti 139 Milan To join the Casa 139 is needed to make it go card ARCI 2009 at: http://www.arcimilano.it/circoli/form-di-richiesta-di- adhesion-allassociazione-la-casa-139 completed and printed. THANX! This double CD there prsente fees two albums dated '66 and '67 where the first beat sounds very pop and has attached 2 singles, while the latter sounds more 'pop Syke and has attached 3 singles! The sound, while remaining parameters very British, is a mixture of Baech Boys (those of period folk pop) and the Beatles! Their look and 'comparable to that of many pop-Mod bands of the second half' of the 60's and then seeing a picture of the repertoire of their promotional material, which they portrayed next to a mini, wear: hipsters tartan button-down shirts and shoes pointer! Are not critical although I must say that the sound I like a lot, but I recommend it only to those who love the sound of pop 60's style so to speak last Zombies! Happy listening! This trio of Coventry after the presents beautiful hit single, "Sing When You're In Love" that we put on our website, their second work consists of 11 tracks (including a phantom) between good sound and powerpop britishrock, not omitting even a few English folk ballad style! Ultimately, their sound is like a mix of Clash, Jam and Supergrass! .. They are a band that has an attitude halfway 'between the casual and the Mod and then followed a bit' from everyone in the British alternative scene ! Besides being a product of the local working class, are very attached to the colors of their team and they played for her at the stage of their town! Ultimately the album is not 'evil, nothing earth-shattering, but the product and' well done and you listen with pleasure! Are 8 tracks recorded in '68 for a job that very soulful and groovy, of course, the classic sound Modjazz par excellence, a fluidic 'masterly execution of the songs. And there 'a lot to say about one of the artists' beloved of all time EXCEPT 'version vinyl and' gatefold and it opens with pictures of the artist and description. One of the first recorded for Blue Note, since many of his works have been made to the Atlantic, this work is' very good I recommend it to everyone, even those who come to the Jazz for the first time! The pieces are more 'shorts and of course more' soiled by the presence of the blues! This CD Modjazz presents as many as 24 tracks from all their last 8 albums and I must say that they are the best works that this artist, dissolved after the Blue Flames (the band that accompanied it) has made! There are the stompers "Somebody stole my thunder" and "No thanks" who feel all allnighters Mod and many other pieces super grooves and soulful! And 'a must-have, one of the most' beautiful compilations on Georgie with one of the most cool for a nightclub Mod ideal (say so ')! The period is taken into consideration and 'even the one in which the artist stains' the sound of classic jazz with soul and blues, making it 'very smooth and danceable and there is no' artist, along with those classic of modjazz, more 'followed by the mods of him! A masterpiece from you;) consigliatissimo! 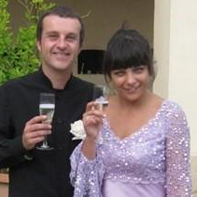 Many many congratulations to Carolina and Rob. The Sharper Word ( a Mod anthology) by Paolo Hewitt Helter Skelter Publ. It was finally reprinted the book by Paolo Hewitt, which he describes, chapter by chapter, all the experiences of Mod's life, through reports, interviews and manuscripts, authors who have participated or who have only come into contact during the their lives of writers! Through the phenomenon Mod back in vogue by the spot of the mass media, with the birth of the "Britpop", up to semisconosciuti and super 60's underground. Mod For them it was not just one type of music or a type of dress, was a religion, an indecipherable code of life, brilliantly described by Pete Meaden as an "elegant living in difficult circumstances?" Our Paul, writer of articles for the NME and presenter biographies, such as the Small Faces, the Jam and Oasis, has collected some of the best manuscripts of the British Mod culture, including hard to find items such as Tom Wolfe, Nik Cohn, Andrew Motion, Colin MacInnes and Irish Jack. He revised documents: clothes, music on clubs, drugs and the best "faces" of the original mod scene in London. The Mods were, for me, the revolution, the revolutionary group, the Vietcong were like ... they would never have left the place of combat, have always fought as a minority, against the overwhelming dell'armata American! " Pete Meaden (par for the face as well as the first menager Who). Like the great prophet Bo Diddley said, "never judge a book by its cover ', so' we must not judge this band from the Midlands only single incisero in the 60's and that was:" Ice-cream tree! This band Birmingham has recorded demos and promo copy of individual never disclosed, creating their own unique style and never imitated in the late 60's, we can say that they were a heavy mental band, which formed a rock-beat acid and singer whose color had a style all her, without necessarily imitating Otis Redding or Wilson Pickett. There are 13 songs in the LP is that the first CD, some not marked well, but give an idea of the power of their sound and then you have 45 official CD or EP, to which are added 5 more songs! Were a great band and like others of their kind have not had the success they deserved: powerful guitars, hammond, wrap-around blues and funk breaks in almost all the pieces, in short, a beautiful disc recommended for all fans of psychedelia and freakbeat! That 'the first solo guitarist of the Ocean Color Scene and Paul Weller, this is an album of English folk guitar much, in short a gogo guitars' voices and very melodic! There are 11 pieces in a way, very reminiscent of the Beatles last period, those of Abbey Road and Let it Be, for instance! Not 'evil and' own the classic English ballads disc that pleases those who appreciate the sounds most of the Ocean 'melodic. Done directly and arranged by the family Cradock and Paul Weller, will result 'in more' sweet-voiced sound much, but as a whole, however, consider one of the many approaches to the sounds neo Mod of the new millennium! There are 25 tracks of British R'n'B and soul really biting no trivial and basic to all culture started at the Mod! Certainly in some cases there are some classics like "Cruisin '" by Herbie Goins but in many others, there are some real gems, like: "take my tip" of the Manish Boys, the Mod band D. Bowie at the beginning, or "Curtains" of Shotgun Express, the other Mod bands of Rod Stewart. So are all the rare songs from 45 labels failed to acquire by Emi and over the years. Almost all the singers here have cited the original Mod scene of London, or have come to contact with an audience of fans of the Mod scene then! Unfortunately, the cost of this CD, we in Italy and 'dear, about 20 euros for a product on Amazon that are not more' than 5 pounds, and recommended the purchase on the web! Very good compilation to have! Still reprints vinyl, souljazz yet, but this time with a lot of latin! Our Ray uses the great arranger Marty Sheller, specializing in forming bands that play this kind, very good and especially in having found a voice talent such as Willie Torres, a singer in this training! Are ten pieces that sweeps from souljazz, all 'R'n'B with many incursions of Hammond organ, which is' not bad ever! This disk is part of the nascent stage of the'66 Latinamerican and non c'e' club or cafe 'in New York, who has not seen this latin-rock band! .. I can only say, as he wrote notes on the cover of this vinyl Joe Gaines, DJ of Radio WEVD in NY: "listen to him and then tell me what you think! ". This new release of british r'n'b Mod contains 27 tracks, where the first 12 are of the Doc Thomas G., while the rest of the band are almost parallel created by the artists themselves and call: The Silence! 2 all the bands of the 45 were put on the compilation: Rare Mod of Acid Jazz! The album in question is called so ', because' they were one of British bands who, together with Rokes, we did successfully in Italy and were sponsored by the famous television program, which took the name of the local dall'altrettanto famous Adriatic Riviera, Bandiera Gialla! As for the songs you can 'say that they are all covers of soul and r'n'b groups, but the arrangement of these by the band, and 'truly original and very well executed! Unfortunately not succeeded' to find Silence of the original material, so 'records here' have reported a study dated reunion in'90, and I feel especially from 'Incidentally the recording, which is more' clean and modern, but I can assure you that the execution of the songs and 'was made as if the band had been in a study in'65! All in all not bad, although not essential you can 'consider a discrete collection of classic mod! This is what you have, sara 'il piu' bel hammondgroove disk library or (as they say in Britain) in the world! In the first vinyl you have placed the 12 songs that make up the original album released in'68, to be part of this virtual band, as it never did incisero concerts or other albums, in the second there 'with an EP version of " the champ "and" landscape "and extended another 4 pieces of author. But come to the masterpiece, or rather to its author Alan Hawkshaw: Having accompanied on tour in the early 60's as the Shadows Hammond, decided to work on the KPM studies that are most Londoners' importance for the creation of soundtracks, special effects and TV-movie themes. Creo 'for his fun with a series of exceptional instrumentalists, such as drummer Clem Cattini (remember the 4 instants and the Ugly Custars?) 2 bands: the Mohawks (in fact) and Rumplestiltskin, with which cimento 'in performance of instrumental groove really out of the ordinary! He and 'genius par excellence, the man who has adapted classic soul and funk supergroove making them, and that it' as his most 'glaring! A disc of all instrumental and funksoul hammond a gogo, which recognize more 'meta' of the songs recorded in the double album, as are almost all played for allnighters Mod! .. For me to be a must have! At a super economic and 'exit the dual collection is A and B sides, most' rarities of this band that the oven has a dozen single and an album of British beat and psychedelia from'65 and'69, almost all printed inspiration of the popular indie producer (in the sense of small label of course), Joe Meek? The leaders of the band members are Ian Gillan and Roger Glover, who will form the most 'famous and eternal Deep Purple, but also the help of the beautiful as well as keyboardist' vocalist Sheila Carter, who will entrust the band 'as a single solo singer with the name: SC and the Episode 6, for the note! The first cd has 22 tracks of the individual with a sound very 60's pop beat to the first and most 'freakbeat / popsike for the latter, where the total of the songs and' taken from two-sided discs, the second will always have 22 tracks, but taken from demos, outtakes and a live gig of'68! So it is not 'a group key, but' easy to impact with a very fine vein compositive! Recommended for those who love the sound popsike! Finally, after waiting months for the CD from the vinyl, we can also review qesta new record out! Start with that and say 'almost all british R'N'B song with just a blue eyed soul and a freakbeat, (the word soul & psych us and' seemed excessive nell'intro descriptive image). 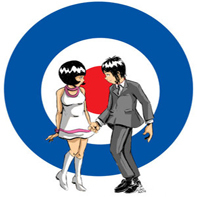 The news' and 'we have revisited classics by mod bands in a personal manner, and I must say, in some cases performed better than the original, con un po' piu 'di fantasia and class! Not bad also quantita' Track, well you have 19 tracks with bands of the classic popmod like Attak, Doc Thomas or the Silence group, two pieces of Steve marriott at the beginning with the Moments, and a rare individual of Truly British soul singer Smith. All in all for the cost that is around 15/16, 50 euro is not 'a bad job and the vinyl version has run an insert with photos and descriptions of the artist as well as' date of composition !!!.. It is not 'transcendental nothing except the fact that no single easy-to-find', however, to have in your disco Mod! This reprint of the'71 presents nine tracks funksouljazz style jazz musicians of the current scene "rare groove" (see New Mastersounds). Our hammond jazz has ten musicians to give this album the sound of a body more 'complete and soulful.Il taste of writing and composing and' that the artist ever exploded in the firmament of great modjazz around'62 . Jimmy also like many jazz musicians of his caliber, uses different covers as: "Mr Lucky" by Henry Mancini or "Secret love" by Sammy Fain, to name two of the six. Usually almost all the artists of this kind used in a classic retrofit groovejazz! An excellent disc, quick impact, just think that they are key pieces soulfunk, are more 'shorts than jazz and classical and more' assimilated by ' listener. 100% Mod CONSIGLIATO sound at all! This film set in Paris in'58, tells the existential malaise of a generation that has experienced childhood during the Second World War and most did not believe 'in anything. Bob (Jacques Carrier) meets Alain (Laurent Terzieff the beginning), a young student with existentialist which binds a friendship. Bob falls for Mic (Pascale Petit), but they also want you un'esistenzialista not declare his feelings and refuses to love .. without thinking to consueguenze. In practice, the existentialists, although more 'emotional and less rational, they are proto Mods, who move to scooters (Vespa or Lambretta), using coats, trench or Montgomerie and Interracial (whites and blacks). It also has a wonderful soundtrack performed by the most 'big names of Jazz (Brown, Elridge, Getz, Gillespie, Petterson). A film of the nascent "Nouvelle Vague" where the director Marcel Carne ', track perfectly without the nuances of the new generation of "stylists" dell'underground metropolitan! As already reviewed on Modculture by Mark Ellis, DJ known by us and certainly more 'responsible myself, I can with great enthusiasm to reiterate that this double-vinyl, not limited by the cost of 36 euros, become' a classic of its kind! ! It 'pretty much the story about 45 labels of latin soul and boogaloo which, Fania, Cotique, Tico and Speed, the pieces in the collection have been specifically related to a period from the end 60's early 70's! In a period where the multi-ethnic music afrolatinoamericana of these labels has produced 4 of the pearls of funksoul, boogaloo and latinsoul, thanks to the great mixture of races that this neighborhood (in fact harlem) has given. The artists have created a Misica called "pop" (in a literal and not as a musical phenomenon), so 'the changes that you can not' embrace in a genre, but we can tell you that many of the numerous pieces here 'above, will become of the classic Mod scene, because 'super danceable and really great emotional impact! Bobby Marin and Jerry Masucci, the two talented composers and arrangers of many of these pieces will give a final mark and many of the tracks of this double album will reflect Their professional association of art! In short, a great double album recommended to all and especially to fans of the sounds most blacks' latin and late 60's! This' one of the few groups that together with Genesis, create 'a new form of music called visionary psychedelic Rock Art! .. I have to say that the history of the group, as musicians, start' before! Their leader Howard Werth was born in East End of London, became the middle 'of the first 60 years a distinguished graphic pop art, came as many other artists from the Art School of Walthamstow.Affascinato always by his idols, blues and soul as : Screamin 'Jay Hawkins, Little Richard, Ray Charles and James Brown; start' in'63 as backin vocal and playing guitar in the "Lloyd Alexander blues explosion." In'67 at the beginning of the "summer of love" English, became one of the countless bands that revolved around the scene underscores the London club. Only in'69 formed the audience, one of the best bands of art-rock acid, and one of the best debut album (which in fact) for the period! Remaining ever faithful to their idols in blues and soul, created their sound with a strong black base and is always considered a band with a sound: latin, bossa nova, the medieval English folk and a touch of r'n'b! That disk and 'one of the best in the nascent British progressive scene, but remains anchored to the beautiful sounds of the psychedelic 60's end! .. recommended to fans of sounds white. Another big blow to this label Catalana, which reprinted a double lp in gatefold sleeve, and even with an insert, one of the most 'unknown scene folkjazz English. The time had a band out of the truly classic freakbeat or psichpop sound of that time, mixing in their songs the English folk with jazz and gave him the reverberations that the British pop psychedelic scene had created in those years! The first album and that 'the original release for the label London super underground, Tangerine Rec, now that is in good condition 450 pounds. Here 'you can' listen to 12 songs at a price more 'that affordable (28 euros), the second disc are all the compositions that the band, under the control of its leader: Jamie Rubinstein produced, incidentally, but never released in vinyl form! A detta di molti intenditori e' praticamente un altro album con pezzi di grosso effetto!!! And certainly 'a conceptual band, suitable for audiences inside enough to these sounds, not for everyone and not fundamental, but the sound of which, once acquired, will remain' engraved in the mind for a long time! I have to say that Mark and Jordi of WahWah, 3 years ago by convincing 'Jamie to write or rewrite the liner notes after 13 years from the first reprint dated'93 (on CD only), have really done a masterful job, giving us even more' information on the history, the feelings and life of the current members of the band from that time until now almost! .. of course this product and 'limited to 900 copies! After more 'than five years since his last album: "rearview mirror" and placing on the market, only a handful of individuals and Ep, almost all out of print, the "Modfather" Iberian, shows this new work, which encompasses the best of her latest single, more 'new pieces, or songs composed at the beginning of his solo career, or as ex Flechazos, never engraved. E 'a hypothetical journey through himself and reinvent a new, with a timeless pop sound, but reminiscent of classic 60's groups to beat, such as Zombies, Hollies and Byrds! It has a loyal audience (and no mods), which has always supported, becoming one of the most 'well-known and best selling' high in the Spanish landscape alternative. This disk does not make this' exception, 'one of the discs 60's pop-oriented of the most' harmonious and melodic, but without 'losing the elegance and grit. Our song now "is proposing a project which, to those who love the sounds neomod, it will be 'a good product! .. bravo Alex! Another spectacular reprinted on vinyl, and more 'on the original label, a Hammond, that he did not hide his love or interest for the then nascent mod scene. You are here '10 pieces of souljazz truly stunning, where the the r'n'b riff mixes with that of soul and jazz in a way so' fluid, which is not able to delineate the boundaries. That 'a disc, which for the purists of "sound mod" is considered a classic of its kind, almost like the albums of Patton or Jhon Mc Griff, then impossible not to get and hard to find! Try E-Bay, I have seen a few copies at an affordable price! .. What can I say, to have at all costs! Insert an article on website for italian target history. Reprint double vinyl 180 gr. for a total of 32 songs, all taken from each of the famous British label Fontana (in fact), this group has a style that goes by, the Mod-freakbeat, Blue-eyed soul! A group whose members just 17 years they managed to break the British chart and enter the top10. Leader Peter Frampton, use his voice in manera versatile, with some pieces from 'a rock imprint, for others a more' blues / soul, always with the help in the compositions, the Andy Bown, also equipped with a beautiful voice to accompany! Nothing to say in short, the group, and 'among the most' famous panorama of 60's Brit pop and left several collections on CD, but this is' one of the few I've seen in vinyl! The Council to purchase all a great vinyl and a large beautiful songs! This output discografica ve the reviews a little 'late (around 2 years), because the vinyl dellaBlw Up is hard to find' here 'with us in Italy! Have formed a couple of years ago in Newcastle-under-Lyme (near Stoke), and famous have been their live gigs in the local underground circuit: the opera 60's psychedelic pop with their style of "spaced out", did you 'that the group were supportive of bands like the Coral or the Charlatans for their British tours! This album has a style vaguely reminiscent of the groups psichpop Manchester and it is no coincidence that some journalists have compared to Stone Roses! A good band with a style and a clean sound that does not regret any Mod! It was never hidden the fact that this trumpet of fame and undoubted talent, and always liked to mix the genres! Here 'is an album mixed with r'n'b and some of the latin.Dopo title track: "blacklash", and that 'correlanta been so beautiful in the "Mod Session" boys do Bassano, there is a fantastic, "the return of the Prodigal Son", also included in one of the cd ModJazz necklace. You also have the use of percussion of Ray Barreto, which is' saying! Are 6 classic songs from the lp modjazz, where the side "b" is perhaps a little 'less gritna, but' an excellent product, godibilissimo to listen to always and in every occasion! consigliatissimo at all! This group offers a classic sound of U.K. explotation, this created the inspiration of genius Clattini Clem, the drummer as well as' leader of the Mohawks! Another disc hammond groove, the style we say "library", sounded like those of the Underground Set or Blue Phantom, which saw the light to dark Kaleidoscope label rec. in'71. are 8 pieces of funkhammondjazz, in the style of the period psychploitation, pure sound Mod 100%, not far from great Mohawks! Good work of this quintet Madrid Mod are 12 songs in 60's style pop beat! Recall certain passages in music, the old Flechazos. The texts deal with almost all of love or of issues dear to us Mods, graphics cover pop art style is rather reminiscent of that used for the CD of Creation. He also has extensive booklet with many photos and texts of the songs! Nothing to plead in short, a good product of 60's mod! Another great album modjazz, this time with songs in a short soul, with lots of hammond and style! Our Henry offers us 11 songs, including the instrumental covers of "Sunny" or "Respect" or the classic as hammondjazz "The way i feel" of his master: Big J. Patton! Nothing to plead for this work dated'66, undoubtedly a classic of its kind! recommended for all, better if you find it in vinyl. This German band, but settled in Spain has recorded a beautiful album dated'70 and that 'a masterpiece! They had the peculiarity' to have a black singer and then their sound was a groove in the middle 'between freakbeat and blue eyed soul! They have done an album with 9 pieces that are on CD 10 with the "bonus tracks", even if to tell the truth are 4 songs, one after the atra. They are a group that had a super sound Mod and that you should buy now, although I believe it will be 'hard to find' here 'with us in Italy. The format for both CDs and vinyl for that ', the exact reproduction of how to exit' in those years in Spain, and like 'cardboard Semirigid made bag, very original! After 2 ½ years this band in London and 'back to the great album with a more' mature very reminiscent of a mixture of "setting Sons" and "Sound Affects" by Jam. Indeed and 'thanks to the "Modfather", which he supported, not only economically but also morally (playing with them in different gigs), who managed to finish this second disk! Sound' a mix of Jam and Smiths at all, but 'much more' pop and mature as the first. You can 'tell a Powerpop deluxe, and with the powerful guitar riffs and a large low speed us back to a period that is rather reminiscent of the early 80's. Nothing to plead 11 songs are well arranged and very much in line on the current style neo popmod sound! This excellent collection of 20 individual hammond groove, which ranges between the beat, jazz and psichedelic sound, and 'the new edition with a boocklet most' complete and descriptive, the last edition on Past and Present Rec, Fatta always Nick Salomon. The full title is: "Return of the intro-hipsters" and that 'nothing less than the vol. 3.Difatti the other 2 that I have ever seen here 'from us, but are intentzionato to order, are: the first a cover pop psycho and the second a beautiful photo of a couple of guys dressed early 70's, inside an apartment furnished in style "space age"! back to the compilation, I am really 20 all instrumental pieces, some arranged in a more 'orchestral, but always all godibilissimi and really good listening, with the Hammond organ is almost always predominant in all the songs ! Recommended for all good record! This group dated 1967, and 'the true example of how many bands Mod is converted to the London psychedelic scene, towards the second half' of the 60's! Formed from the ashes of the Zoot Money Big Roll Band, one of the best Mod bands' popular who regularly attended the scene of the Flaming clubs of Soho, to the'66 saw them run out the vein of artists of the scene british jazz / r & blues, to arrive at the club or underscores Middle Hearth of London, where he was born the next generation the so-called "Underground Culture". Along with Tomorrow and Pink Floyd became one of the bands peak and incisero an album that never saw the light! Now, thanks to reprint on CD from this label we can hear the fruits where, apart from the classic: "The mad man running through the fields" you can hear the other 9 pieces of sitar beat and psych pop, the band, thanks to the genius of its leader, the hammond Zoot Money, has composed and recorded ever released! ! A classic of the genre, recommended to all lovers of british freakbeat! Another center for the fledgling label that Lichtenstein reprint 1000/500 vinyl limited to copies (depending on the 'artist)! This disc dated'67 and wanted to co-produced by Pete Townshend, we outline a complete artist with a voice more powerful than the 'recall for the hit single "Fire" (Fire, was the version in Italian). There are 10 pieces of British psychedelia with guitars and hammond redundant, but also show blues covers such as: "I put a spell on you" by Screamin 'Jay Hawkins and "Time" by James Brown! 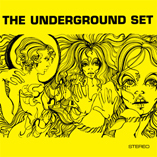 A disc in the scene underground English psychedelic saw some success the year to exit 'and the artist we have had the pleasure to see him at Cloud 9 Rimini 3 years ago' and that are still playing in the most 'bizarre clubs Londoners !!!... Ultimately a good ldisco, mostly recommended 'to the lovers of sound white! After the huge success of his Alligator Boogaloo, Lou wanted to recur to his fans with a product very similar, both as cover and meaning ', re-using the super famous British model Peggy Moffit, that such content! Leaving intact the formation of his first work, dated'66 and again in the same standard modjazz! Carats of slightly lower, the present work and 'comunqe empre high level and you can' remember the great songs: "The humpack" and "Peepin '!" With a great all'Hammond Lonnie Smith, our favorite saxophonist has duet for the duration of your giving you 5 tracks of great honor! By the early 50's, a new element of music became popular in the United States and was called latin jazz! Were the years of Morales Puente and jazz and music in their content was minimal, more 'what else the folk element was much more crisp and impact for their fans. Then to the 60's were the years of Mongo Santamaria and Willie Bobo, and was an absolute certainty of the marriage between jazz and Latin music, consecrating a new genre finally! One of these groups was to Joe Torres in'66 that compose this beautiful album where, with the exception of "sunny", "eleanor rigby" and the song by Percy Faith: "oba" all the material was entirely created and arranged by this band! Joe and 'a boy lean and handsome, with its decided "timbales" to see who the new-born scene and' The "Joe Torres Group", having beside him a sax like Bill Hood and as a pianist Victor Feldman! transcribing the rapporteur of the notes of his disc tranqullamente can say: "Go out of his way, and Joe 'on the scene !!"!! To have! Another vinyl re-print a lump Mod classic that, together with the Joint Action and has made the history of underground music of 60s mod! The group, headed by the leader bassist John "Mod" Rogan has recorded this album more 'a handful of individuals between the'65 and'66. These are all pieces of british beat / r & b, where no shortage covers as "taste of honey" and "shake" but I must say that most 'of all the songs we can distinguish the hits: "bad time" and "I'll remember tonight!! Eccpire anything to the disc and 'a classic of its kind and is even represented with centrino with Union Jack on both sides and target arrow with written label that promotes! Of course not 'a reprint Journal as one of the CD BGO (Beat Goes On), which came back with individual attached, but it' in both vinyl and enough to be purchased by all fanatics for discs ! A further reprint in vinyl, although now dated to 2 years ago ', a group of historic British psych rock scene dated'69. This trio, along with the Bulldog breed and Andromeda, has made the history of rock. 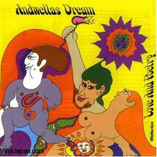 Andwellas captained by the great pianist / guitarist, Dave Lewis will delight us with 13 pearls of psychedelia, never banal or discounts, sometimes spill over into British folk, all packaged and wrapped in an album and that 'once the pearl of teenage pop! ! They are a band never trivial and with an infinite 'nuanced, sometimes tough, Lysergic other more and more with ballads always tasteful. Recommended for lovers of sounds and white 'a real gem! Very little can 'hear 4 instants, and certainly we know that' an album of'66 and that the sound can be 'back to the Mod Jazz / r & b with a powerful hammond and a fabulous job of guitars! All those participating in allnighters mod and r & blues, consider this disc a classic of the genre. Suffice it to say that recalls Graham Bond Org., Dave Davani Four, the Mohawks or any other of modjazz lp / souljazz imported States. Mainly composed of successful versions of the time as: Watermelon man, mashed potatoes, monkey time, the album also includes an excellent version of Duke Ellington caravans! The only sure that we track, and 'the drummer of the group ; Clem Cattini played with other bands such as the Mohawks or Ugly Custards, thus giving to $ instants un'ipronta similar sound. Excellent album to be absolutely in their own collections of modjazz! Think that the second book, manual psychedelia: The Tapestry of Delights classic albums were recorded in studies truly professional, and this album 'come between the leaders of the genre freakbeat for its own sake! The sounds are almost all psychedelics, generated by the fantastic guitar leader Jim Thomas, helped by the riffs of his friend Stan Curtis. The nearly all original compositions, have been generated at a time, the United Kingdom of'68, where the rhythms folk, pop, modern jazz and r & b were all taken and mixed in a large pot to give us the sound you hear in this vinyl ! Everything comes up in a pop-flavored freakbeat, without many frills, but with a cleaner sound and elegant! Another good reprint of this masterpiece Italian dated 1970 Sonora 'hammond a go-go! It has unn'ottima mix of psychedelia and progressive jazz, with the formula for a disc only instrumental (true library for more 'pigonli). The sound to other bands of that period as the Blue Phantom or Ugly Custard, very adolescent in terms of composition with a perfect mix of Sonora 'hammond garage, where, in some passages of music, you can' remember the sound of Graham Day with more Prisoners.Fecero 'latest another album, but more' heavy and progressive, and were also instructed to affect some sound basis for the television RAI! I am a world of bands with the sound more 'groove ever recorded and think that the original was only printed in 500 copies, you can imagine, what can be recognized. Mod sound super!